This oil is 100 percent pure. You can travel the world over, and not find a more perfect cooking oil than Macadamia Nut Oil.Its naturally high smoke point (400-450 degrees Fahrenheit) allows for excellent cooking versatility, and even helps reduce the production of trans fatty acids. To ensure quality and purity, NOW® Macadamia Nut Oil uses only unrefined, unhybridized macadamias. These organically grown nuts are superior in quality and account for its unique nutritional profile. At 81% monounsaturated fat, 2% polyunsaturated fat and an incredibly low 2.2 grams of saturated fat, NOW® Macadamia Nut Oil has one of the healthiest unsaturated to saturated fat ratios, even greater than that of olive oil. To retain the naturally occurring vitamins and enzymes, we rely on an expeller press and double filtration process. 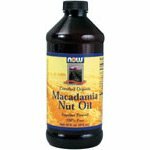 This, coupled with its delicious nutty flavor, makes Macadamia Nut Oil the perfect complement to chicken, fish, vegetables, stir fry and salad dressings. Peter Rabbit Organics 100% fruit snacks are ideal for babies and children. They contain 100% organic fruit with no added sugar or artificial ingredients. The convenient squeezable pouch means there is no need for a spoon. The pouches are resealable which makes them a great snack for children whenever you are out and about or to feed your baby at the start of weaning. We don’t add water only natural fruit, so each 3.5oz pouch counts as one of your child’s ‘five a day’. 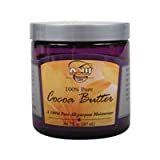 Cocoa Butter is an all-natural vegetable fat derived from cocoa beans. Also called Theobroma oil, Cocoa Butter is one of the most stable fats known and has a very mild chocolate flavor and aroma. Christopher Columbus is believed to have brought the first cocoa beans back to Europe as part of the treasures of the New World. 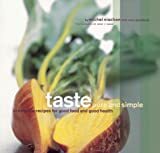 Acclaimed chef Michel Nischan knows that eating well is all about balance, and his beautiful cookbook proves that robust meals can be both healthy and flavorful. Avoiding the high-fat dairy products prevalent in so many cookbooks, he uses vegetable juices and olive oil to achieve the same luscious flavors. Who knew that sweet potatoes make a rich sauce that’s fabulous drizzled over oriander-seasoned duck? Or that creamy white bean dip spread on crusty bread could make you forget about butter? And after eating a healthful dinner, it’s okay to indulge in a dessert like Flourless Hazelnut Cake. A chapter on basics provides a solid foundation of stocks and sauces, while the glossary describes how to find and use unusual ingredients. For the good home cook who craves something new and delicious and particularly those who want to eat well while maintaining a heart-healthy diet, it’s simply a matter of Taste Pure and Simple. CLICK HERE NOW to Download The Secret 2 Fat Loss and Lose 7 Pounds Every 7 Days! CLICK HERE NOW to Download The Secret 2 Fat Loss Program and Start Losing 7 Pounds Every 7 Days with Some Never Before Revealed Weight Loss Secrets! If you want to know how to loose weight in a month, it’s important that you realize that most diets that you have seen so far are utterly useless! From low carb to low calorie and low fat meal plans, they are all garbage! Low fat menu plans in particular are extremely popular and you can’t step into any grocery store nowadays without seeing isles upon isles of these so called “diet” foods. Did you know that consuming low fat snacks and meals will actually make you fatter? The reality is that these foods do not contain the nutrients and ingredients that raise your metabolism to burn fat, in fact you will find that the more lower fat foods you eat the harder it is to lose weight. One guide that exposes this entirely is “The Secret 2 Fat Loss” guide which will give you a full list of fat burning foods that will send you on your way to losing 30 pounds in 30 days! That’s right you can get rid of 1 pound per day if you simply consume these unique fat burning meals. If you want to know how to loose weight in a month, this is the best guide you must read as soon as possible! Using the law of attraction to lose weight can be very easy to do (when you know how). There is a simple process that you can use to reach your perfect weight quickly and easily and the tips in this article will help you to get started. 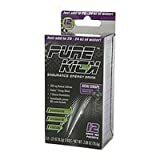 Pure kick endurance energy drink mix is originally developed to meet the needs of world class endurance athletes who demand healthy and truly functional energy products. pure kick acai grape stick packets can be added to 20oz -24oz of water based on your desired flavor intensity level. each serving of pure kick contains a proprietary ergogenic enduro™ energy blend supplying 200mg of all natural pure caffeine (from coffee beans) and a healthy dose of b vitamins along l-arginine amino acid. the enduro™ formula is balanced with 7 diverse electrolytes for hydration, and with l-theanine amino acid to help prevent any “crash” normally associated with other energy drinks. pure kick contains no artificial flavors, no artificial colors, and no hfcs… just pure kick! professionally recommended pure kick is portable and convenient — perfect for both home and travel. whether you are an endurance athlete, a weekend warrior, or just looking for a daily kick of pure proven energy – pure kick is the answer. simply mix with bottled water or tap water for invigorating energy. just 20 calories per full serving from a touch of natural crystalline fructose sweetener (the same as the sugar that is found in many fruits). conforms to all wada international standards & regulations for banned substances for competitive athletes. made in the usa. please recycle!